Tilleys Sherbet Lemons from the United Kingdom. 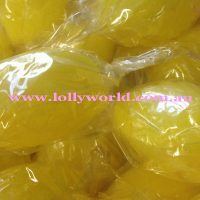 This lemon flavour hard boiled sour lolly has a sherbet centre. When you break through to the centre, the sherbet increases the sourness of the lolly. They also have individual wrapping perfect to stop them sticking together in our warm weather. There is approx. 40 in a 250g bag and 160 in 1kg.